We all have heard the stories of entrepreneurs and business leaders who were able to rise above any obstacle in their path to reach massive levels of success. When asked to describe what sets them apart or what their secret is, these leaders find it’s often hard to put a finger on it. Science has tried for hundreds of years to figure out the magic formula for success. 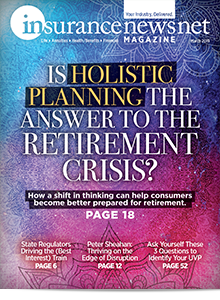 Paul Stoltz has seemed to crack the code through 35 years of research on millions of people around the world and more than 300,000 insurance agents. His formula can be summed up with one word — GRIT. According to Webster’s dictionary, the definition of grit is “great courage and fortitude,” but Paul has taken this word further with his own acronym that can measure one’s propensity for achieving and sustaining success (Growth, Resilience, Instinct and Tenacity). The great news from Paul’s latest research is that this technology can be used to find stellar employees and agents and can even be used to improve your own level of GRIT. 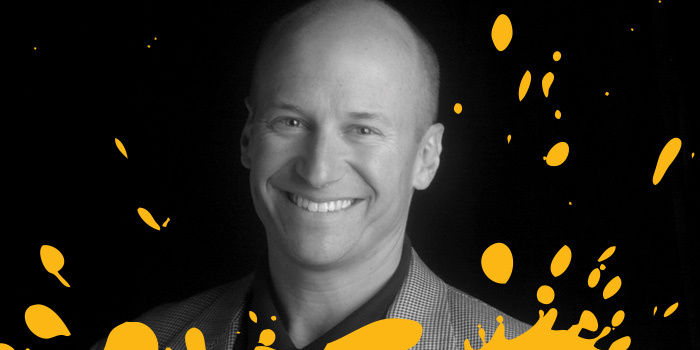 Paul Stoltz is a researcher, trainer and author who says GRIT is what it takes for the good to become great. He has advised many of the leading companies, including insurance carriers, and their staffs around the world. He brings his insight from his work as the director of the Global Resilience Project, where he oversees research in 17 countries. His partners include faculty and researchers from Yale University, Stanford University and more than a dozen universities overseas. In his latest book, GRIT: The New Science of What it Takes to Persevere, Flourish, Succeed, Paul explains how the combination of these elements is the best offense in today’s tough sales environment. 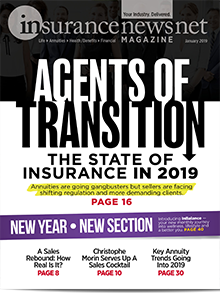 In this interview with InsuranceNewsNet Publisher Paul Feldman, he explains the ingredients of GRIT and how to mix them together to create a potent cocktail of success. FELDMAN: In your latest book, GRIT, you covered quite a bit on what you described as the Adversity Quotient. Would you explain that? It seems like an important baseline to start. STOLTZ: You bet. The Adversity Quotient was really the result of about 35 years of work trying to uncover what it is inside human beings that keeps the lights on when most people dim the lights prematurely. The original work stemmed from research on a book on entrepreneurial DNA and trying to find out why some people prevail and succeed and most people don’t. Long story short, what we found was this human interface with adversity — how people handle the tough stuff — was the single most predictive factor. So we set about trying to decode that and thought, “Wouldn’t it be great if there were a way to measure that thing called your Adversity Quotient, or AQ?” We’ve assessed the AQs of more than a million people around the world and found it to be an incredibly robust predictor of a lot of things in the insurance industry. FELDMAN: What did you find that made a difference in agent retention and performance? STOLTZ: We found three main things that were hugely important. We looked at 15,000 applicants against 1,000 spots that were open. The companies hired the applicants based on normal criteria, but we had assessed this thing called AQ and then later in the game this thing called GRIT. We found that the agents on the high end of the AQ scale sold about 90 percent more than lower AQ agents. The same thing turns out to be true of GRIT. The astonishing thing about it was the tougher the product was to sell, the bigger the difference both AQ and GRIT make in how much you sold. We also found that those who scored in the bottom quartile were three times more likely to quit. That was hugely predictive of attrition and retention. Third of all, in one example, there was a group of 256 former rejects who were hired just because they scored so high on AQ, but they weren’t told that. So these are people who didn’t cut it, and they were hired anyway just to see what would happen. To our astonishment, they ended up being the top-performing group on average in the company. That’s how robust a predictor this could be. If you’re an independent insurance agent, you eat adversity for breakfast, lunch and dinner. And obviously, those who can turn that adversity into high-performance nutrition are the ones who are going to prevail. STOLTZ: GRIT is your capacity to dig deep and do whatever it takes, especially to struggle and sacrifice, in the relentless pursuit of your goals. AQ is defense — how you respond to whatever comes your way. GRIT is offense. It’s how you go after it and make it happen no matter what. And you have to have both. You’ve got to have both a strong defense and a strong offense to win. FELDMAN: GRIT is an acronym. Would you mind explaining it? STOLTZ: The four key drivers of GRIT are Growth, Resilience, Instinct and Tenacity. FELDMAN: When you addressed growth in your book, you said it is a mindset, but that word is pretty nebulous. How do you define mindset? STOLTZ: Mindset is the lens through which you see and navigate life. But I’ve got a bugaboo about mindset because when I coach multinational CEOs, I hear everyone pound the lectern and talk about, “We’ve got to strengthen our mindset. You have to have the right mindset.” I started to wonder what they even mean. I think a lot of them mean attitude. Because we’re a research firm, we went around the world to decode what is a winning mindset. We started picking out all the elements of a winning mindset and had those validated by the Educational Testing Service. That growth mindset means two things. No. 1, to what extent do you attribute your success to your effort versus your talent? That’s a very important factor. And then the other is, how well do you incorporate fresh ideas and perspectives and input into whatever you’re doing? FELDMAN: The next letter is for resilience. Isn’t that as important as growth? STOLTZ: You bet. Resilience is traditionally thought of as how well you bounce back. The average number of adversities that a human being faces in a given day is 32. But if you are merely bouncing back from them, nothing changes. You never improve. Our definition of resilience, especially in the insurance industry, is your capacity to harness adversity. People with greater GRIT tend to respond more effectively and be more likely to harness their adversity. People with lower GRIT don’t do that so well. Given that we’re pummeled by adversity all day, that’s a key factor in persevering. FELDMAN: I have never heard that we face 32 adversities a day. Where does that come from? STOLTZ: From our global research over the past 24 years. We go around the world and poll people about the number of headaches, hassles, problems, difficulties, setbacks, obstacles and adversities they face in a given day, and they have to list them to substantiate their number. And I’ll tell you, it’s astonishing. Twenty-three years ago, would you believe the average number was three and then it went up to seven and then it doubled again and doubled again? I think the number’s gone up to 32 a day since the last big data crunch. In that data, for the first time ever, we showed women facing more adversities than men — and of course they’ll tell you that’s because they have to deal with men — but nonetheless their numbers are a little higher. The main point is to think about whom you’re selling to as an insurance agent. So, how an agent handles adversity is a pivotal factor in whether they stick around and how well they do. 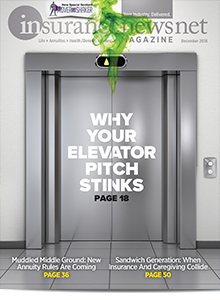 There’s every reason in the world that the industry has 86 percent attrition in the first few years. But the part that blows my mind about your industry is that when we ask CEOs of big companies what’s the full, calculated cost of recruiting, screening, hiring, training and equipping one agent, they tell us it’s about half a million dollars. FELDMAN: What about your next one, instinct? STOLTZ: Instinct is an interesting one. It is your gut-level capacity to pursue the right goals in the most effective ways. People who score higher on instinct tend to do better. People who score lower tend to waste more time and effort pursuing less-than-optimal goals in less-than-optimal ways. You may know people who are insanely persistent in ineffective ways. FELDMAN: And then you wrap it all up in tenacity. STOLTZ: Tenacity is that raw element of GRIT — the relentless perseverance to keep at it until you come out the other side. 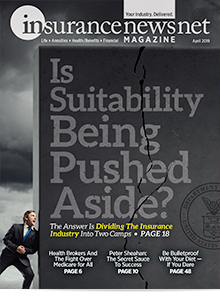 Few industries demand greater tenacity than the insurance industry. What we want to do is upgrade the conversation and improve the quality of people’s tenacity, not just the quantity, so they’re coming at it in ways that are more likely to produce results. FELDMAN: Is the quality of tenacity what makes the difference? STOLTZ: This is where we blow up GRIT from GRIT 1.0 to GRIT 2.0. It’s not just about weak to strong GRIT; it’s also about dumb or smart GRIT. Dumb GRIT is when you’re pounding your head to a bloody stump. You just keep pounding away at that thing in pretty much the same way — that same thing in the same way hoping it will create a breakthrough. Smart GRIT is having the wherewithal to step back and reassess and reroute as needed. Is this still the best goal? Is this still the best way to get to that goal? What adjustments can I make in how I’m going at this to increase and accelerate my chance of success? Then there’s bad versus good GRIT. Bad GRIT — we’ve all seen this. Maybe it’s that boss from hell or client from hell, but it’s the person who goes relentlessly after their goals in ways that are ultimately harmful or detrimental to others. People made that comment about Steve Jobs. Was he effective? Did he have GRIT off the charts? You bet. But he went at it in ways that ate his people alive, and everybody said it was brutally difficult and brutally stressful to work directly for Steve Jobs. Good GRIT is when you go after those same goals in ways that are beneficial to other people. 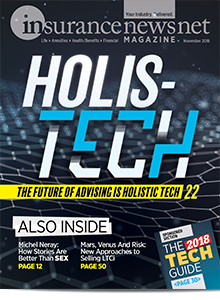 So when you think of putting it all together, as an insurance agent — especially since it’s such a relationship-based business — what you’re ultimately striving to do is demonstrate your smartest and strongest GRIT across all four of those dimensions with anyone in pretty much any situation. And if you do that, it creates the magic that your industry thrives on called trust. FELDMAN: How do you set GRIT-y goals? STOLTZ: GRIT-y goals are about amping it up. They are about setting the kind of goals that really get your juices going. They should be daunting. They should be tough. They should require — inherently require — suffering and struggle and sacrifice in order to get there. So when we talk about GRIT-y goals, we have companies lay out the most important thing that they’re aspiring to right now and then we asked them some questions: Is it tough enough? Does it require real sacrifice, struggle and maybe frustration to get there? Is it something few others might attempt? And if you get it, is it worth the effort that it might take for you to succeed? Is the prize on the other side big enough for you to give it your greatest? You can see people’s spines straightening in their chairs as they start talking about this. FELDMAN: Do you think that people set their goals too low? Or is there something bigger that you’re going after? Is there a lifestyle you’re trying to create? Are you trying to provide for other people? Are you trying to achieve something in your life that means much more than just achieving that number? FELDMAN: According to your book, you can improve your GRIT. Was that a surprise in your research? STOLTZ: That’s the big breakthrough. We now know unequivocally that you can measurably and permanently upgrade your GRIT. The biggest factor is your “why.” What are you trying to accomplish? How strong of a sense of purpose do you honestly feel about that goal? Now, being brutally honest, how strong is your why on a scale of 1 to 10? And No. 2, how strong is your “try” on a scale of 1 to 10, 10 meaning it would be impossible to give it anymore? Then we typically find a misalignment. Many corporations that I help have a goal that is a 9 on the boss’ why, but to the team it feels more like a 2. Their try might be a 9. That means they’re killing themselves pursuing something that feels like a 2, and that just eats you up. Whereas, the other way around, sometimes I’ll go into nonprofits and their why may be a 9. But they spend all of their time sitting around talking about their purpose, and their try in making it real may be more like a 2. Well, nothing is going to succeed with that misalignment. So the question we ask everyone is, how can you maximize and align your why with your try? And that’s a very simple way to get your head screwed on straight every single day with every call, with every appointment, to keep at it. It helps to recalibrate because those can get out of alignment when people mistreat you and people aren’t fair — when they don’t show up for appointments, when they hang up on you or when they don’t fulfill their promises — all those things that are demoralizing to insurance reps. That’s what can keep your head in the game. 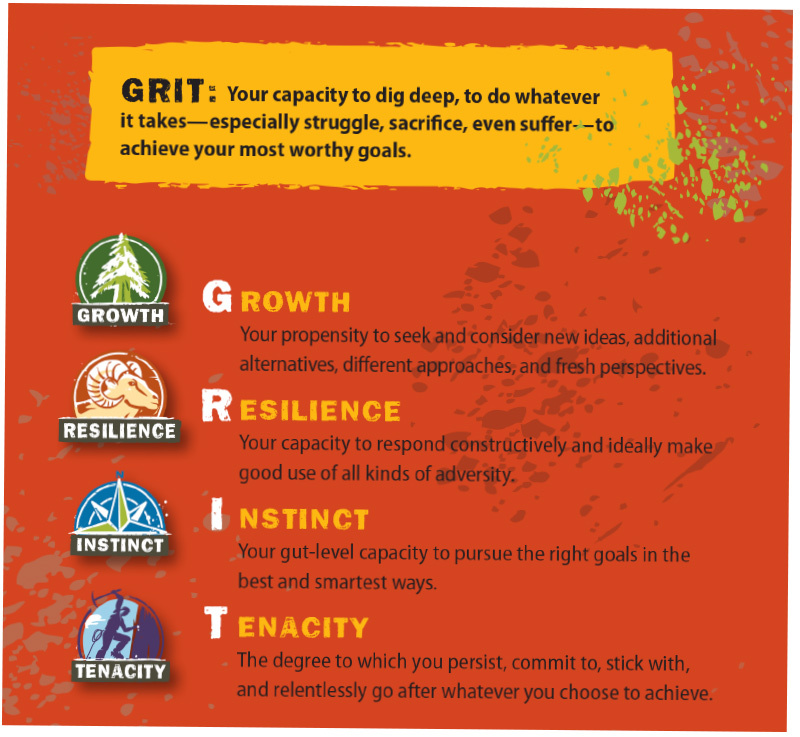 FELDMAN: Tell me about the “GRIT Gang.” Why is that important to a business owner? STOLTZ: If you’re a business owner, you’re often alone. It’s lonely at the top. People look up to you for inspiration, motivation, example and a lot else besides that. As a business owner, the question is who do you surround yourself with? Who enhances and infuses and inspires your GRIT? Who meets you at least as far as where you are and then even elevates you? Most business owners draw people who need them and very few of those people tend to be ones from whom they get something. 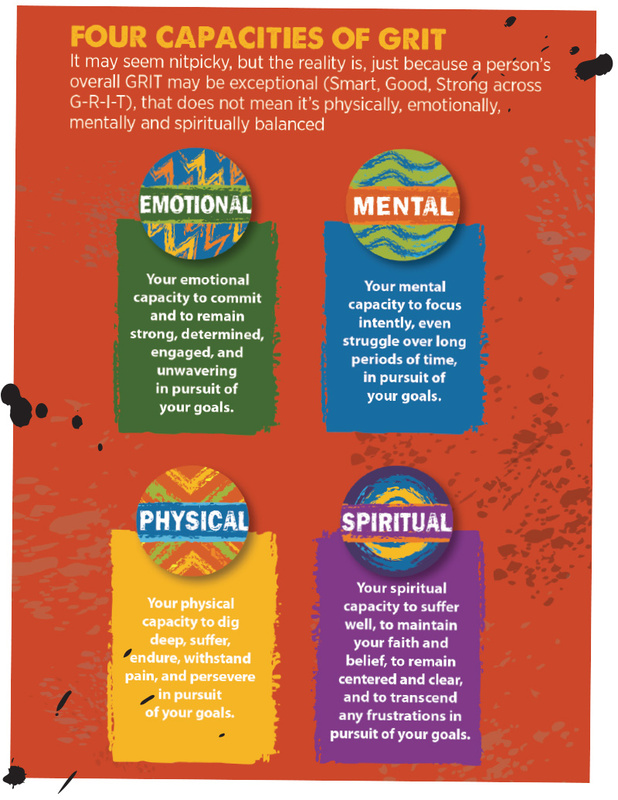 And when it comes to GRIT, who amps up your GRIT as opposed to who depletes is really the big question. 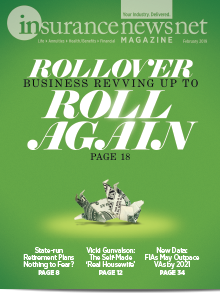 Every business owner I’ve ever worked with can benefit from a bit of spring cleaning. Maybe you shed some of the people who tend to be GRIT depleters — barnacles on the hull — and spend some time with people who are GRIT enhancers, so that you can feed them and they can feed you. GRIT enhancers are the people who inspire you. You can find them anywhere. They can be in your community, your church or synagogue, or your fitness club. But the way I always look for them is that I look for anybody who’s achieving anything that impresses me and inspires me. That’s noteworthy, because anybody who’s doing that is showing some serious GRIT. FELDMAN: You have said that robustness is important to GRIT. How do you improve your robustness? STOLTZ: Induce intentional discomfort, which means to intentionally stretch yourself. In the case of physical GRIT, there are a lot of people who go to the gym, for example, but they do the exact same workout every single day. To induce intentional discomfort means to stretch your body in ways it’s not accustomed to. Same thing with your mind. How often do you read something or ingest something in your mind that’s new and fresh and not the standard magazines or books or other things that you might read or newscasts that you might listen to or websites that you might peruse? So, part of mental GRIT is ingesting things that stretch your mind, pondering things that you normally don’t ponder and maybe having conversations with people who aren’t like you. Emotional GRIT and emotional robustness are about taking on the tough stuff, having the courageous conversations with people whom you might be avoiding. If you knew you were going to die in a week and you wanted to clear the decks by speaking to the people with whom you have the greatest disagreements, whom would you talk to and what would you say? Spiritual GRIT is really about keeping the faith. It’s about maintaining that sense of higher purpose in what you do and not losing that faith despite all the ways that your customers and clients may try to beat it down. FELDMAN: You talk about fitness quite a bit. What is the relationship between fitness and GRIT? STOLTZ: There’s a huge relationship. The one thing about your physical strength is that it directly correlates with your energy and how much GRIT you’re going to have if you don’t have any energy. Your physical fitness is, in many ways, the fuel cell of your GRIT, which becomes the fuel cell of your success. FELDMAN: If a person is lacking in certain areas of GRIT but they apply themselves in one area, does that transfer elsewhere? Like with fitness, if someone achieves goals at the gym, does that lead to success in other parts of that person’s life? STOLTZ: Yes. You create these victories, these pacts inside yourself. GRIT is a simple formula — not easy, but simple. The simple formula is that you set a meaningful, audacious, difficult goal that’s going to require some real sacrifice. Then you go after it and you do whatever it takes, hopefully in smart and good ways, to achieve it. And you do that in one area and that creates this inner hardwiring inside yourself that we can’t even fully understand. A lot of it is biochemical, a lot of it is neurochemical, and it may even be microbial. It creates this cocktail of success inside you, this cocktail of GRIT that can be applied to anything. There’s this inner thing that says, if I did it there, I can do it elsewhere. At the same time you have to dig deep to do whatever it takes to achieve something worthwhile. The more we do it, the more we can do it. It becomes this exciting, powerful and energizing flywheel for our lives. Ultimately, that is what we’re trying to do. Everyone really wants a good life. A good life is not about being happy. A good life is about setting out to do something noteworthy, something meaningful, something worthwhile with yourself while you’re here and digging deep, sacrificing, suffering, struggling, doing whatever it takes to make it happen. And when you come out the other side, there’s a deep sense of GRIT-ification that you can get from nothing else, and I think that defines a good life.